The Russian military will soon take charge of a number of remote-controlled airships, thanks to the ministries of defense and emergency situations. 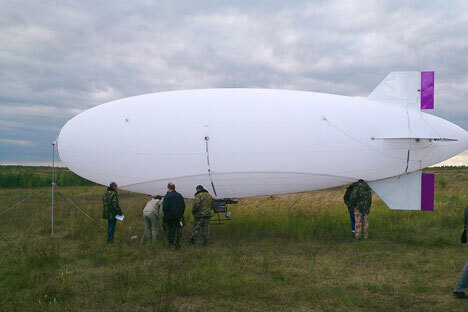 “There are no technical limits in the use of unmanned blimps,” Mitrofanov said in an interview with RIR. “However, there are several legal hurdles. We still lack regulatory documents for the use of unmanned apparatus, and that is a serious problem, especially for the use of unmanned blimps in the civilian sphere,” he said. So despite the encouraging prospects and advantages to using unmanned blimps, it will still be some time before they become a regular occurrence in Russian skies and attempt to enter foreign markets. When asked by RIR, Alexander Kolesov told Dolgoprudny is not yet considering exporting the DP-29.